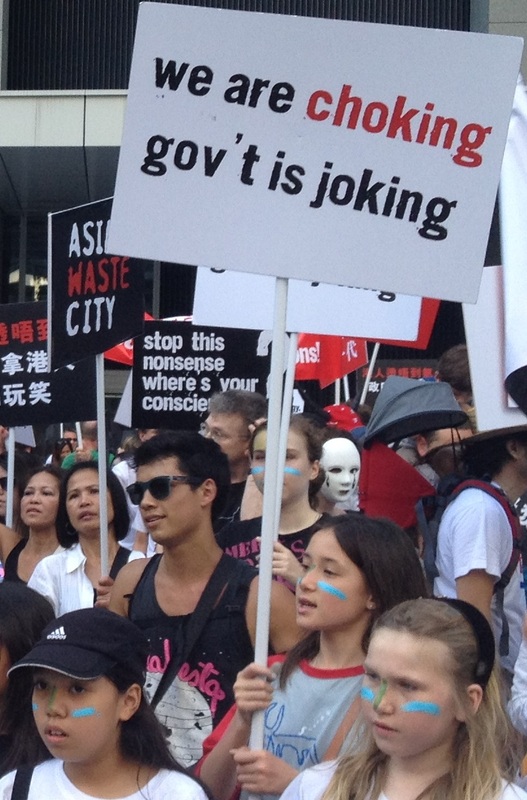 Hong Kong suffers from bad decisions because of our dysfunctional system. In particular, it encourages grandiose public works in favour of long-term problem-solving. Officials have come to regard capital works as a salve to any of our problems because it is virtually cost-free financially, politically and professionally. From the Stonecutters Bridge to the Kai Tak Cruise Terminal, the territory is littered with lightly-used boondoggles. We are right now well-advanced in building a road-only bridge across the Pearl River that will cut travel time by just 15 minutes. While other cities are building cycle paths and pedestrian walkways, we are unique in expanding the road network. So it’s no surprise that we are late in tackling the issue of waste. From personal experience, I can attest that Taipei City was collecting recyclables from all residents 17 years ago. But in Hong Kong there is little reward for reducing our mountain of waste and more importantly no penalty for not doing so, just as there is no penalty for not cleaning up the air or failing to provide affordable housing. As a first-world city, we need to care about our soft as well as our over-built hard infrastructure. Our legal system, our still partially-free press, our schools and universities and our built and natural environments are equally important for those who wish to live, visit and invest here. This deformed incentive structure is apparent in the government’s waste management plan, for which it is now seeking approximately $18 billion from LegCo. No civil servant has ever been fired for building a concrete monument; predictably the Environmental Protection Department (EPD) plan is the most expensive solution possible. At its heart is a grossly inaccurate statistic. The department claims we are currently recycling 48% of our waste, yet the actual figure is closer to 10%. In other words, our recycling efforts have barely scratched the surface. But in our system there is no penalty for using misleading data, either. The plan purports to solve an urgent problem, yet the centrepiece, a large incinerator on Shek Kwu Chau island, will be almost a decade in the making. This furnace will take care of just a third of our municipal solid waste. So even if built, we may need to find further billions for second and third incinerators. By contrast, as few as three automated sorting facilities can sort and recycle as much waste as the EPD proposal. Let us also not overlook the irony of those charged with protecting our environment scheming to blight a near-pristine part of the territory. These officials have displayed little curiosity toward alternative proposals. When asked why just 10% of the waste was being sorted, EPD bureaucrats have said there is no room on the tiny island they have chosen. The Environment Secretary, Mr Wong, said on March 10 that because of the scale of the project “we need to get this right.” Doesn’t that suggest that instead of creating a single giant facility, we should attempt smaller projects that can be executed quickly and at lower risk? Indeed, that is what is being proposed by the Integrated Waste Management Group (IWMAG), which calls for the creation of truly integrated waste sorting and recycling facilities in multiple locations, with incineration as a last resort. Such an approach is much more equitable, faster to bring on stream and significantly cuts the risk and cost. It may even be a start to curing ourselves of our edifice complex.